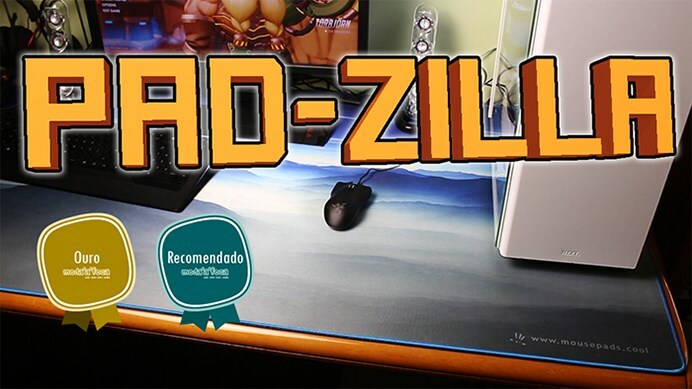 MousePads.Cool - Pad-Zilla® World's Biggest Mouse Pads - Create Your Own Designs - Any Size - World's Most Comfortable Mouse Pads - Cover Your Entire Desk! Our New Customer Review System - Verified Buyers As Always! 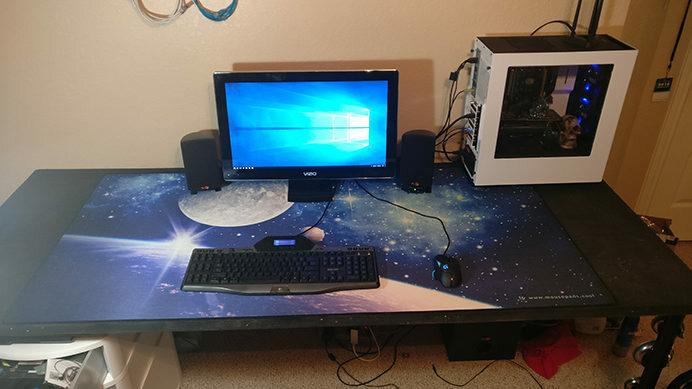 "Huge mouse pad almost the size of my desk. 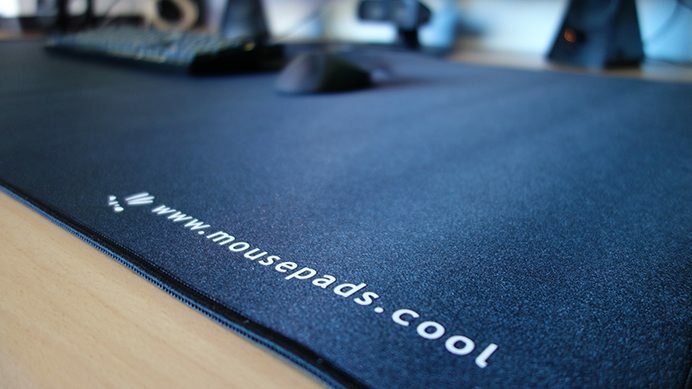 Solid quality and feels great under my mouse." "I've had the pad for over a year and it's holding up great! Would definitely recommend!" 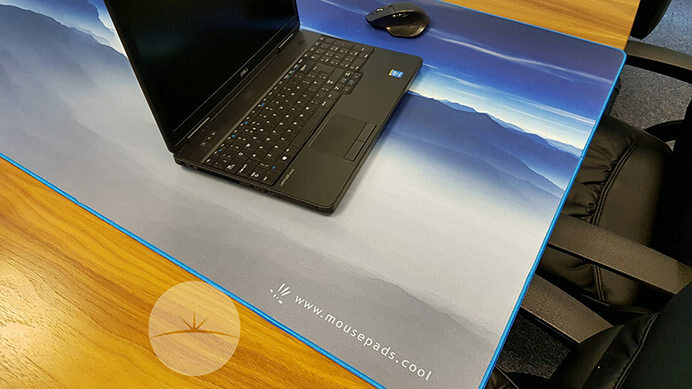 "Been using this mousepad for a year now and I can't believe how nice it still is as well as being easily cleaned. I still don't feel a need to buy a new one and it hasn't worn down at all." "I bought this one since the one I wanted was sold out, but I have to say, this is a great mouse pad!" 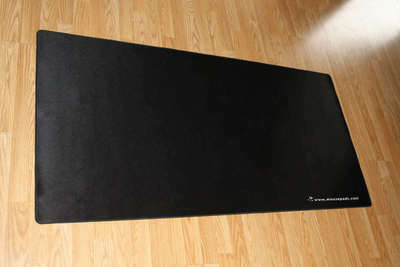 "Perfect mat that fit nearly my entire desk, won’t be shopping for another brand any time soon!" [Henrik in Germany wanted a curved front. I suggested he cut the Pad-Zilla® with scissors then have a seamstress sew the cut edge] "Hi Patrick, So now everything is cut and sewed and has been fitted to the table. Now my working desk is a lot more comfortable, and I can use my mouse all over. 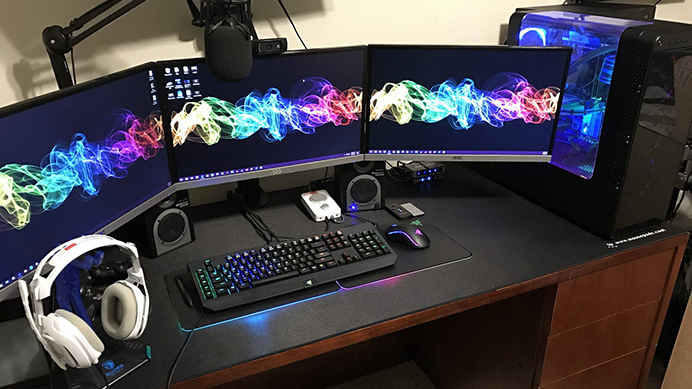 Thank you :) Best regards Henrik"
[Lucas purchased (2) 5 foot solid black Pad-Zilla®] "Hello Patrick, I've received the mouse pads and absolutely love them. They are everything I expected and more. 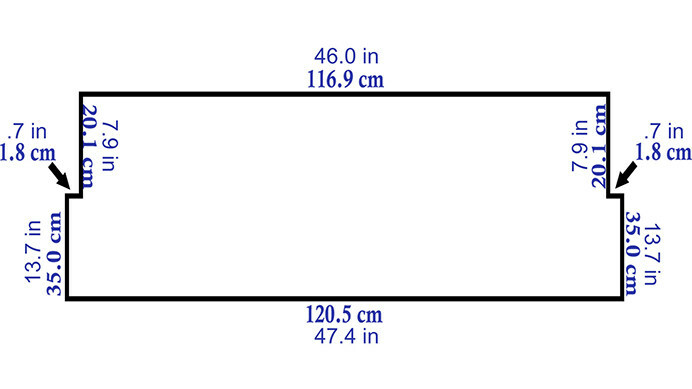 The two pads measured in at 7.5mm, which exceeded my expectations. It's the perfect balance of comfort, convenience, and style. I've been trying to find my tripod to take some professional photos, but haven't had much luck, so here are a few pictures from my iPhone X for now. 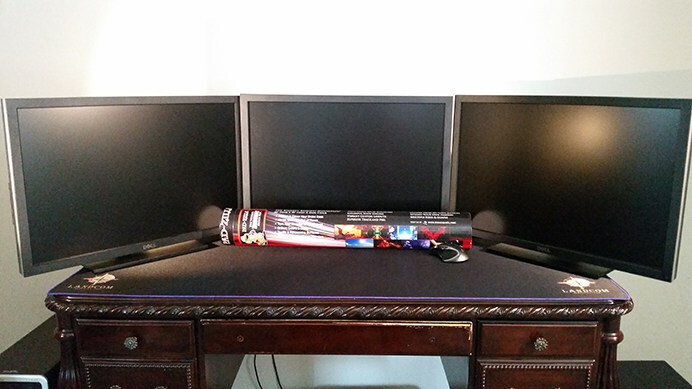 Thank you, Lucas"
[Chris purchased (2) 4 foot solid black Pad-Zilla®] "I've already got them on our 4' glass desks. They look and feel great. I'm gonna post about them and your fantastic customer service, and not to mention the quick delivery to my Facebook page. Very satisfied customer here. Thanks again, Chris." "Thank you Patrick for your hospitality!!!" "Hey Patrick, I was wandering if there was any way I could get a high resolution picture emailed to me of the "event horizon" mouse pad. 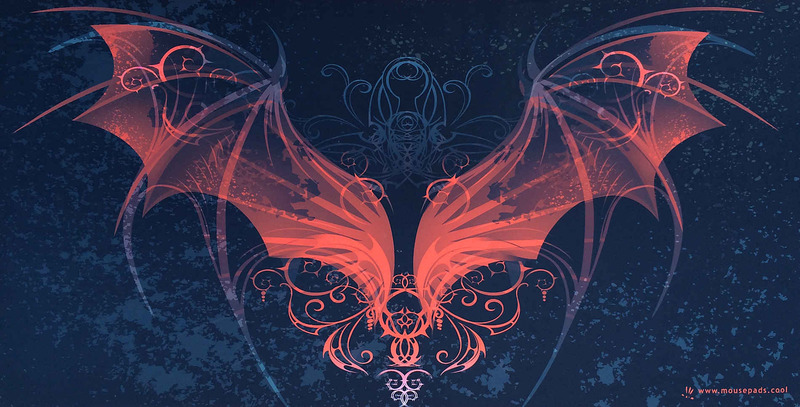 I really like the look and want to set it as my back ground. Below I've included my newer set up if you care to see. Thank you again for y'all being such a great company. Y'all are truely amazing." "I don't normally take time to write about products I buy, but I wanted to thank you very much for the great product quality you're offering. I just received my printed giant mouse pad and it is amazing!!! I play alot of FPS games so this is going to help with that low mouse sensitivity! 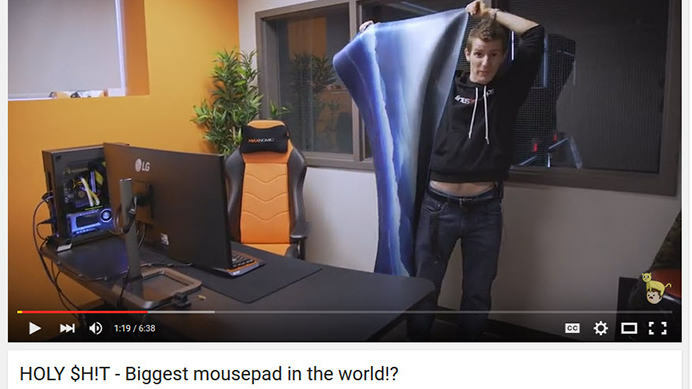 I think you're the only one offering that kind of mouse pad. Thanks again and keep that good work ! :)"
"Dear Patrick, My Pad-Zilla arrived today and I am really happy with this mouspad. I find the Quality and the first impression is very good! I did forget that I have to pay duties for the import to Germany (11€) :D I will use this now as my daily mouspad and will report back after some time how it is. Thank you for the quick shipping. With best regards"
"I know that it has been a few months since I purchased a Pad-Zilla, but I did want to give you a big shout-out and thank you for such a great product. Long story, short: I am thoroughly impressed with and enjoying our Pad-Zilla. Thank you for providing such a great product. I wish you lots of success." 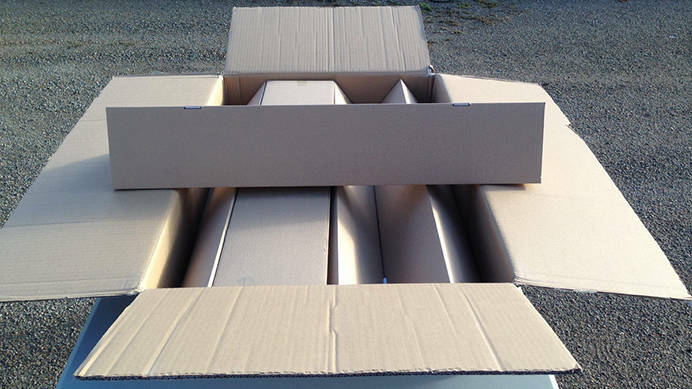 "The opening the box experience was amazing, and it feels really nice to the touch. 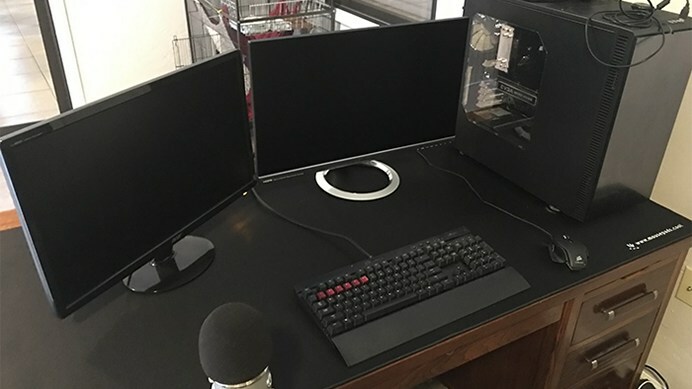 I need to rearrange my desk before I can actually give you a solid opinion, but right now I have high hopes because of the overall quality I see now." Our question to Tanner on the arrival of his custom shaped Pad-Zilla™ today. "So, have you unwrapped your Pad-Zilla™ yet?" "I sure have! I have to say it is more spectacular than expected! 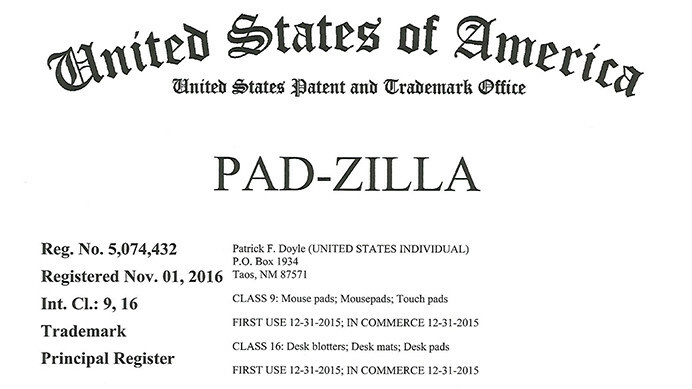 I can't see myself going without a Pad-Zilla. 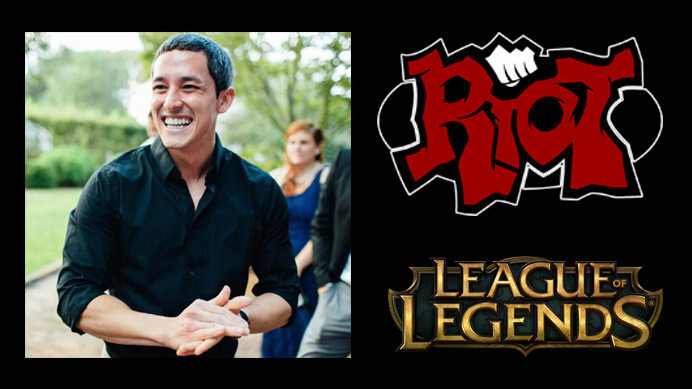 Thanks so much, Patrick!" 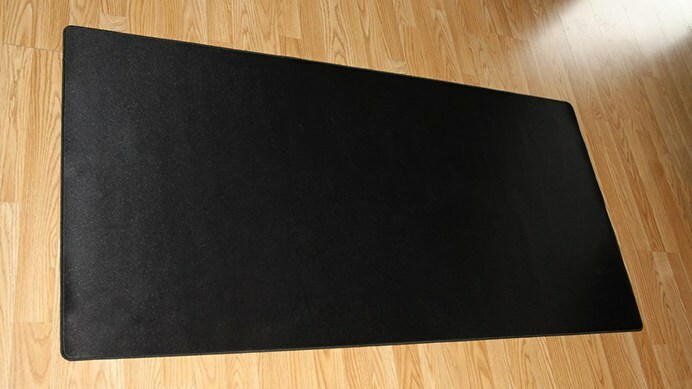 "I'm sending this email to share my usage of the mousepad I bought from you guys. 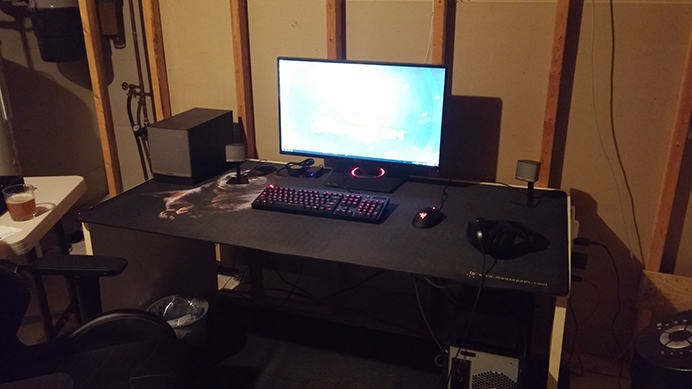 I bought a brand new desk and I didn't want it to get scratched. 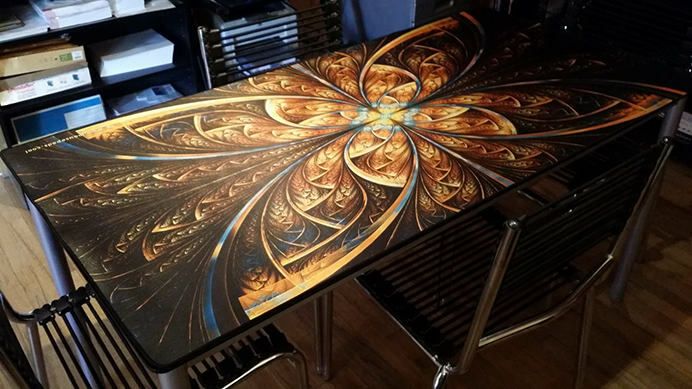 I wanted to cover the desk with something cool not any regular leather crap that is overpriced. I remembered watching a video on LinusTechTips about your product. 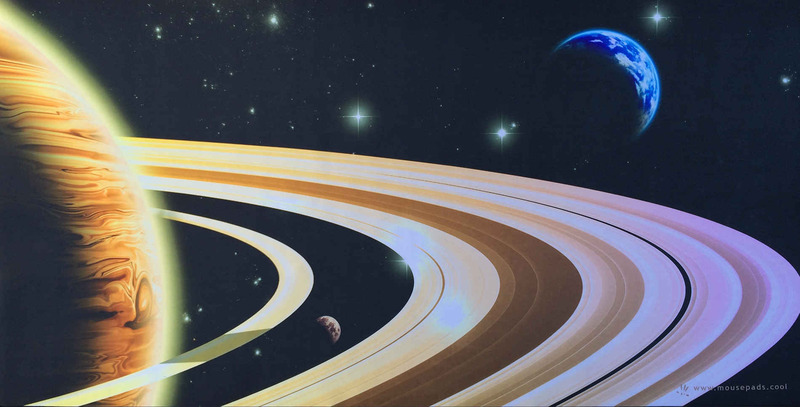 I am getting my setup ready for VR and Space simulator and I found the giant nebula mousepad to be fitting with my desktop background that I have photoshoped myself. Again thanks for existing and sending me a cool mousepad (with a really good packaging). I'm also sending you guys my "F-16 in space" background just in case you guys want to consider turning it into a mouse pad." "Patrick, as promised here are some pictures of the Pad-Zilla™ you sent me on my computer desk. I received it in the mail yesterday and have given it some good "testing" since. I've had no problems with it, and I was amazed at what a quality product it was, rather than just the novelty (and somewhat a joke) I thought it might be. You really did do an excellent job designing these. 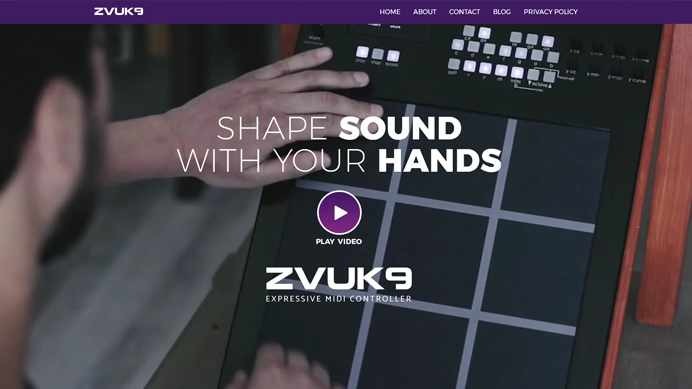 The tracking, grip, and feel of the pad are all outstanding, not to mention the awesome designs! 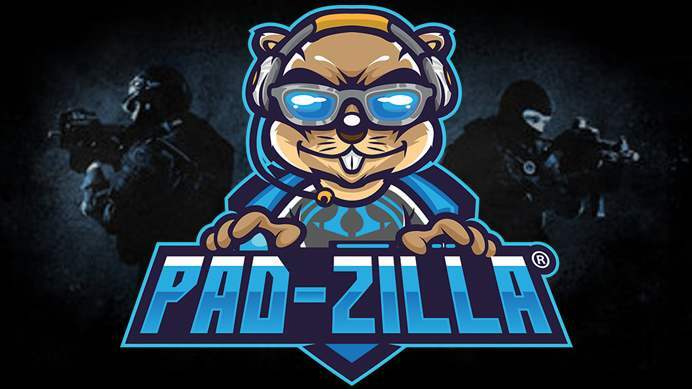 :) Once again thank you so much for giving me the opportunity to see what a Pad-Zilla™ is really like! You can definitely count on a positive vote from me, and I won't hesitate to recommend it to my friends. Well done!" 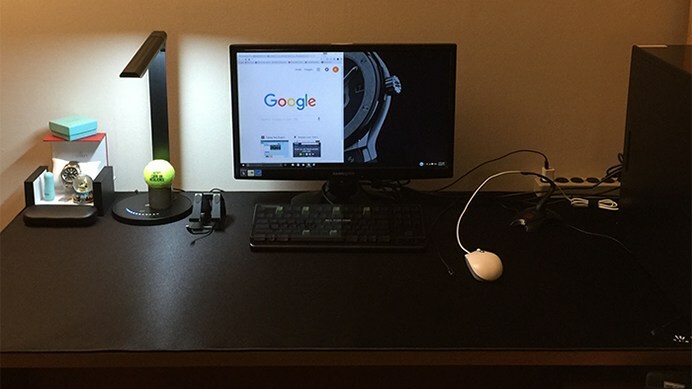 "I got my mousepad yesterday, and so far I am very satisfied with it. It's very high quality and worth the money in my opinion, and it's very comfortable for my wrists. I bought it mostly to protect the surface of my desk, and it seems very good for doing just that. I attached a picture of it to this email. 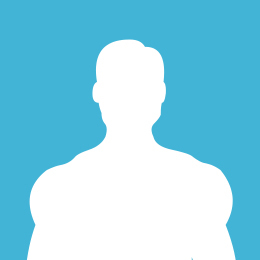 I would definitely recommend this product to friends." "You honestly have an excellent product, I could not live with out this now having known what it's like. Pleasure to work with you, keep in contact." 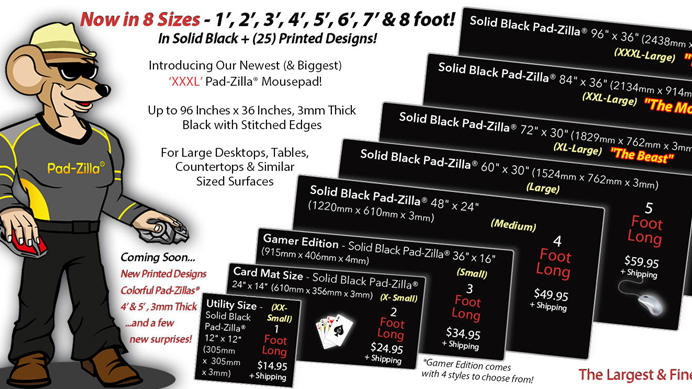 We wanted everyone to know that our "solid black" Pad-Zilla® are currently in stock. Order In Time For The Holidays! Our 25 printed designs are huge and completely cover a standard 5 foot desktop! They measure 60 inches wide by 30 inches tall! Ultra smooth, 3mm thick, and tight knit sewn edges. 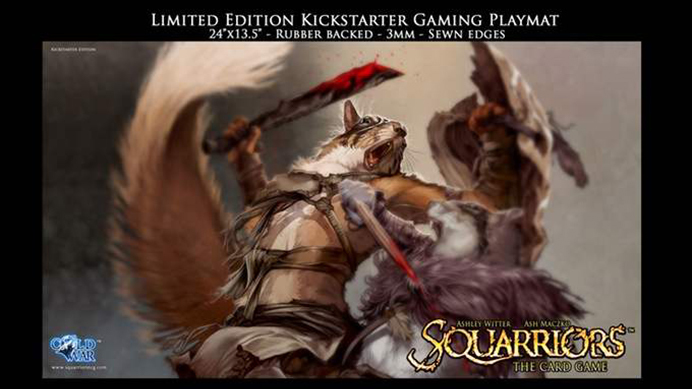 These are the finest quality mouse pads available anywhere in the world! 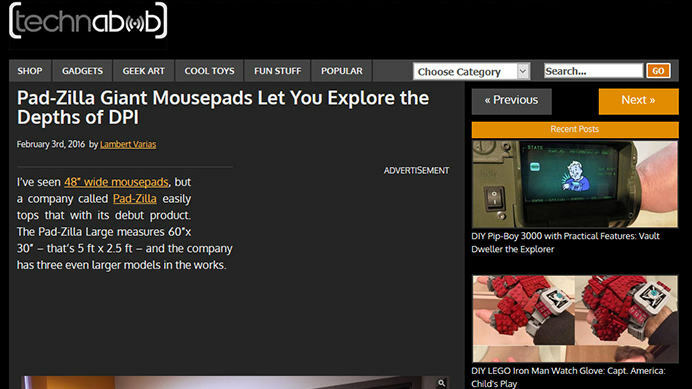 Mouse over the image to learn more about that Pad-Zilla® design. Click a design to purchase it. Mouse over a design to stop the slide advance. Click the "dots" to advance 3 slides. 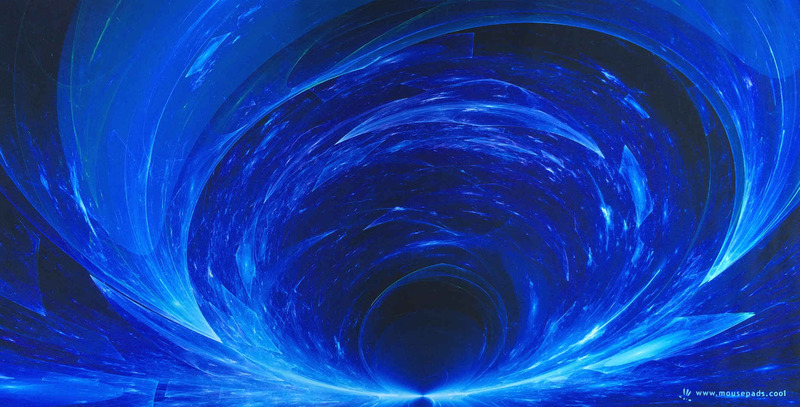 Filled with deep blue and rich silver, you will first be drawn into it, then upward with this striking mousepad. A Centrifuge is a machine with a rapidly rotating container that applies centrifugal force to its contents. Large centrifuges are used to simulate high gravity or acceleration environments (for example, high-G training for test pilots). 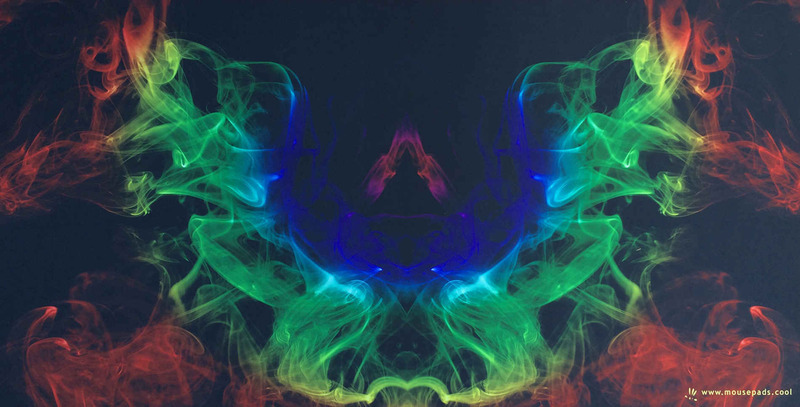 Ultracentrifuges are able to provide very high accelerations which can separate fine particles down to the nano-scale. 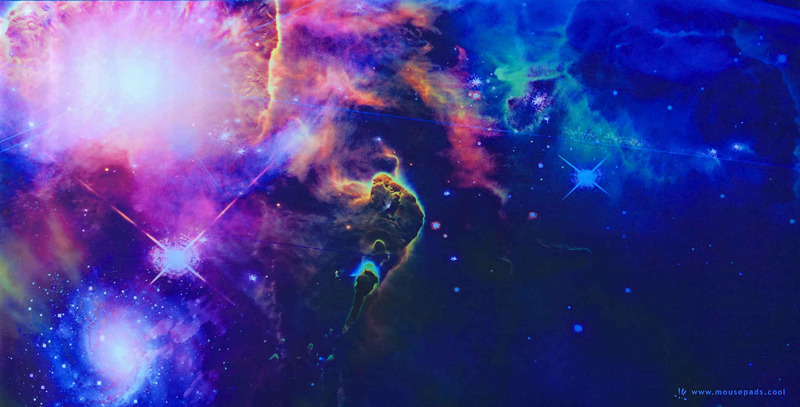 Add the backdrop of space to your desktop, with this beautiful image of faraway blues, purples, pinks and concentrated light against the depths of space. 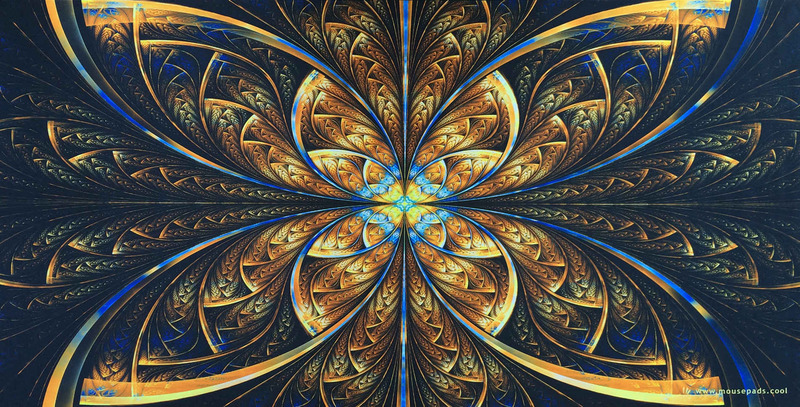 Roll out your pad, then relax and ponder on your micro universe / workspace at your fingertips. A soothing mousepad with gentle purples and light blues, this mousepad enhances a feelling or rest and well being, an overall sense of peace. This is an excellent choice for a quieter environment. 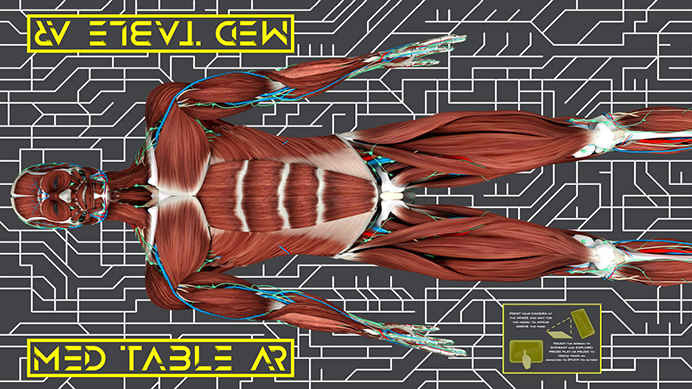 One of our first mousepad choices, one of our 'classics'. 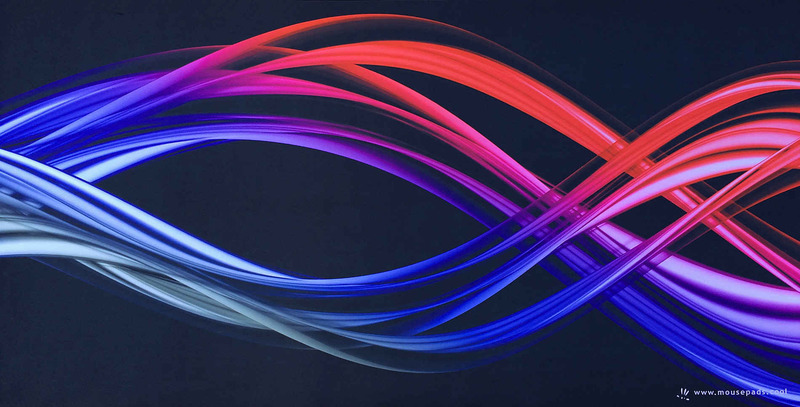 This dynamic design moves with a flourish, and brightens, heightens and warms your desktop space. 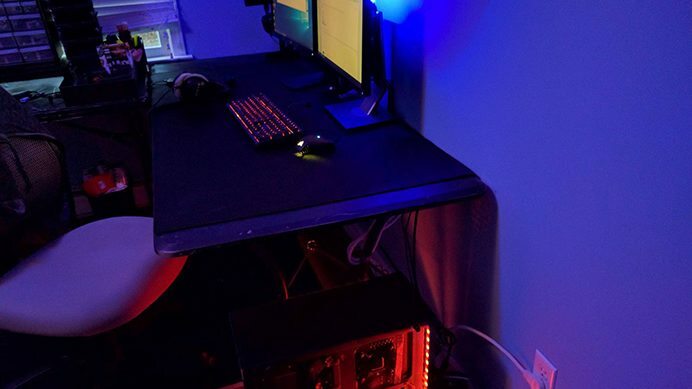 The contrast of the bright reds against the black background is perfect for gamer stations and similar shadowed environments. 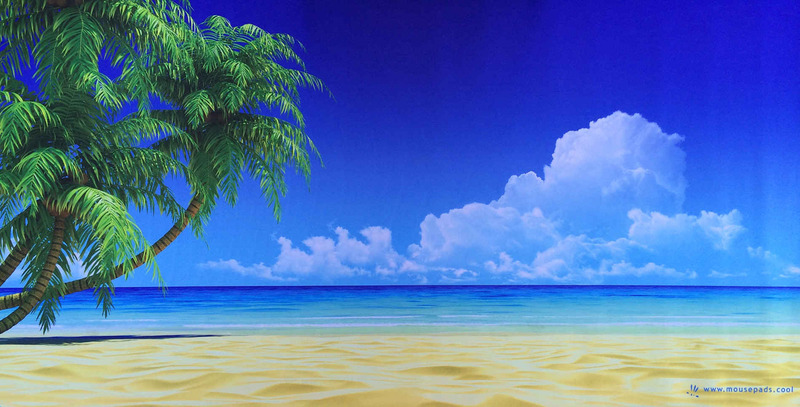 SKU: 005 "Sun and Sand"
Life down to simplicity, the beach, sun and sand... 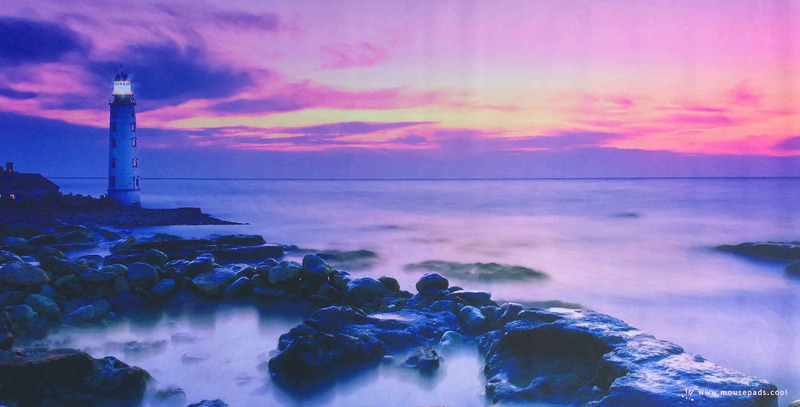 This mousepad helps take away the stress of the work day, giving the eyes a place to rest, the thoughts a break to daydream as one's imagination drifts down the shoreline. 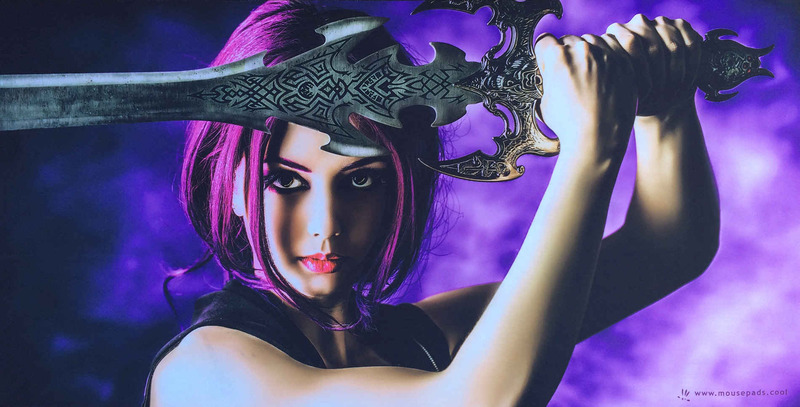 This provoking mousepad is all about strength, determination and beauty, bringing the fine edge of awareness to one's desktop environment, for better gaming, better decisions, better action... not to mention it is just a cool image! 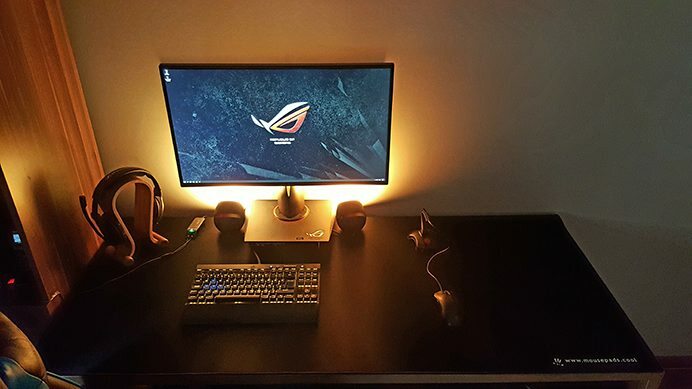 This mousepad with its lightplay adds an element of awareness to your computer environment. The muted soft shades of blue and pink are a gentle seascape on which to drift, all the while being aware of the safety the light will bring on the dark seas. 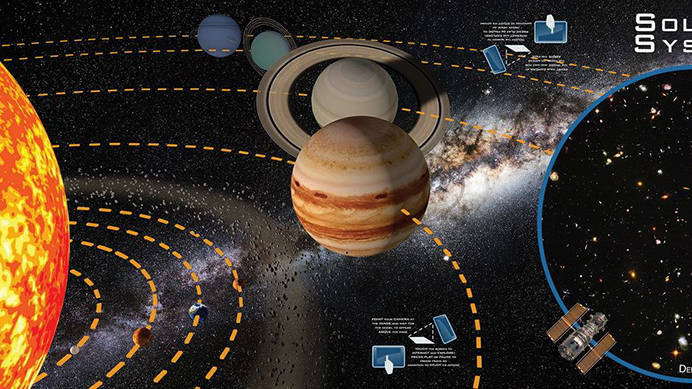 Planet Rings opens up perspectives on your desktop. 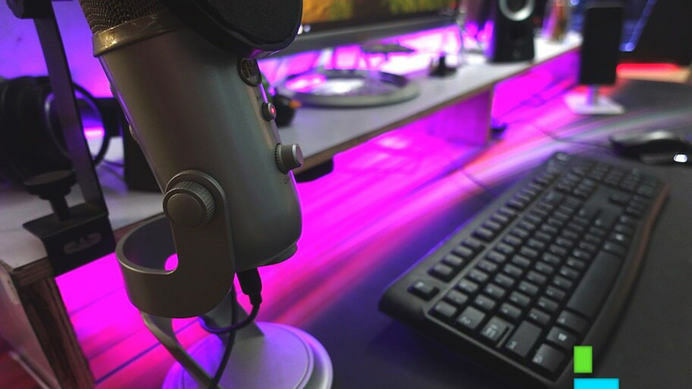 With its gradient color shift from strong yellows through browns to distant pinks, this pad makes an impressive desktop with depth, distance and timelessness. 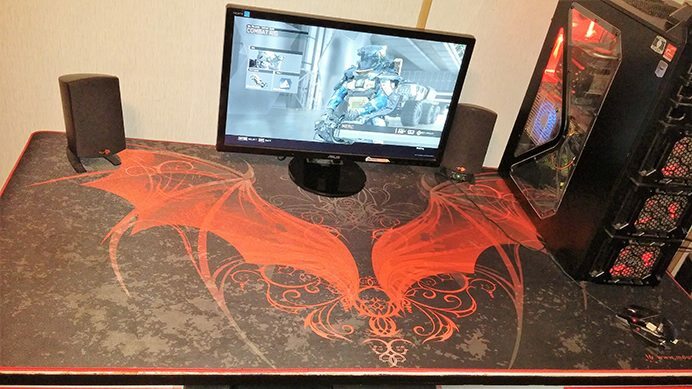 One of our best mousepads, beautiful design, striking reds, blacks and grays; elegant, artful, sharp, cool... just so many things to say about this image. Add the tactile feel of our pads, the utility and uniqueness and this mousepad will enhance nearly any computer setup. 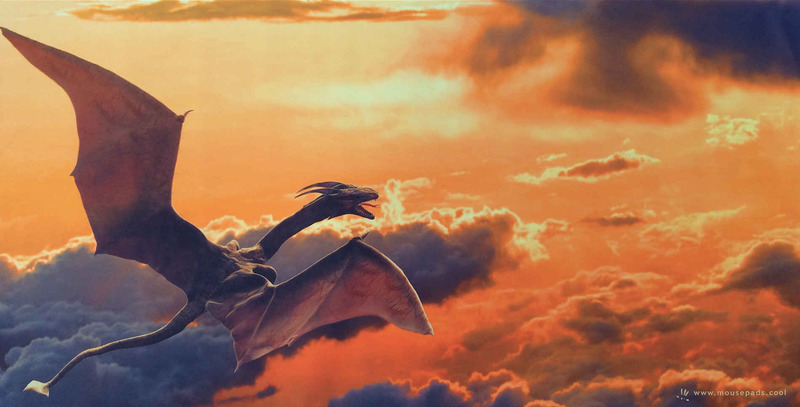 The dragon in your life represents strength, courage and fortitude. It indicates change and the power of transformation. It also represents wisdom, longevity and provides fierce protection and the element of magic to one's life. Make your desktop a Power-place! 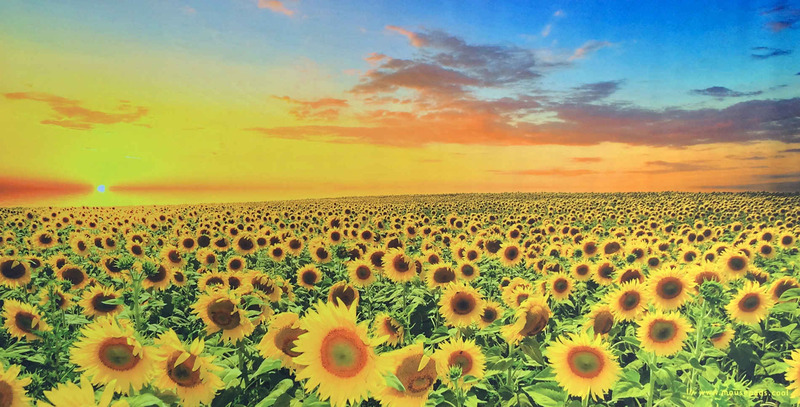 What could be more uplifting than a field of huge sunflowers, bright with orange, yellow and green! This mousepad is an excellent choice for a well lighted computer environment, where it adds a huge splash of color, warmth and optimism! 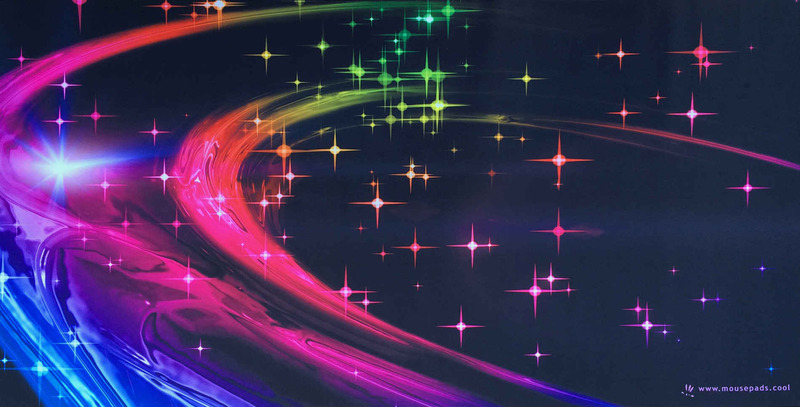 This brilliant mousepad is a colorfest of stars and celestial winds, a beautiful night canvas to cover your desktop and add the dimensions of space and colors of the rainbow to your work or play environment. 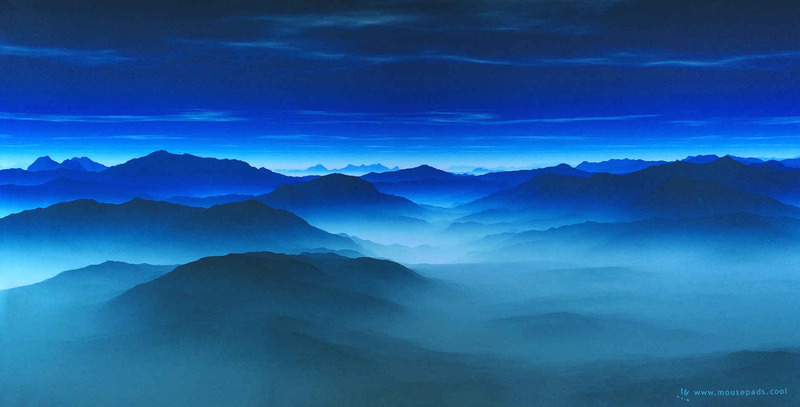 One of our favorites, a landscape design of silver blue mountain peaks, soothing to the eye, restful to the spirit. This mousepad adds perspective, color and a general sense of air to your desktop. 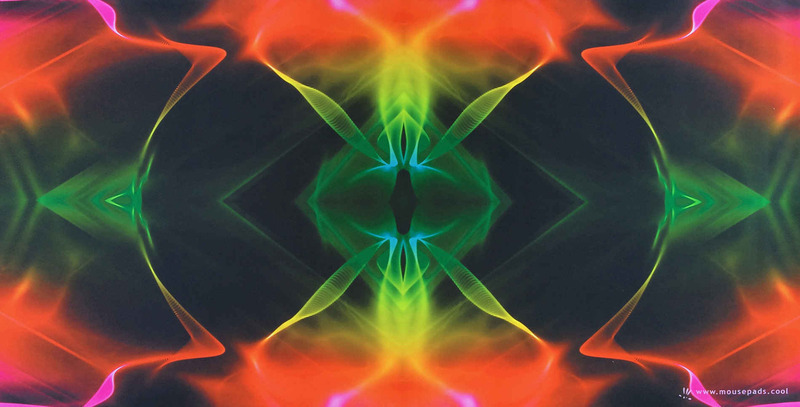 Bright, Brilliant and Bold - This mousepad design suggests the depth of vision, seeing beyond the obvious, looking both far and near. It can remind us that what we do not see is oftentimes more significant that what we do see, or think we see. Bring On The Heat with this fiery pad with its brilliant reds, oranges and yellows. 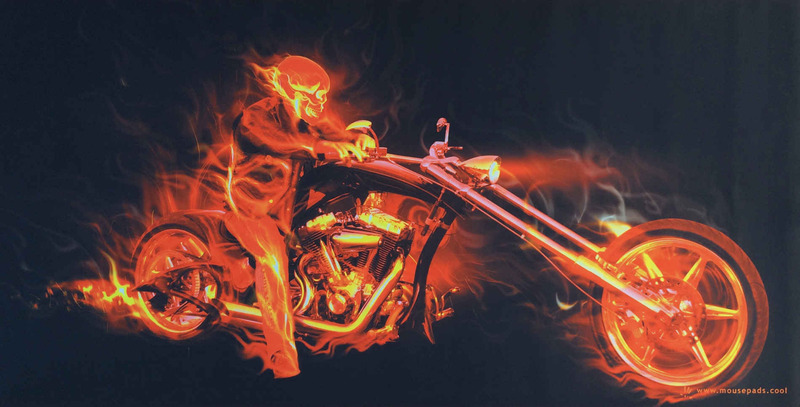 Fire Biker is about the want to be free, tossing care to the wind and picking a direction - with attitude! 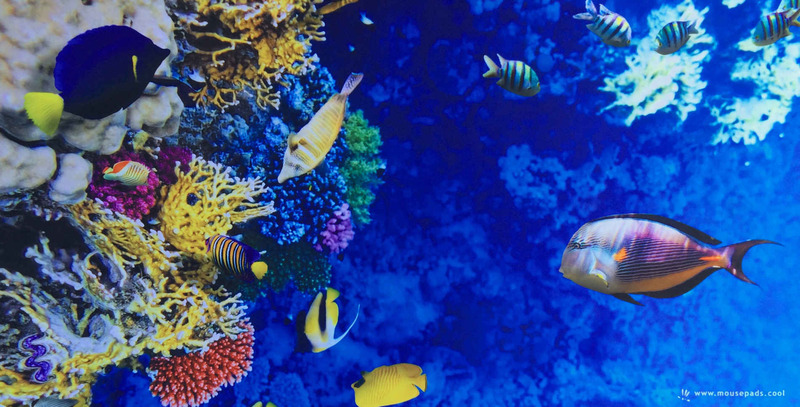 Make your desktop an ocean aquarium with this mousepad. 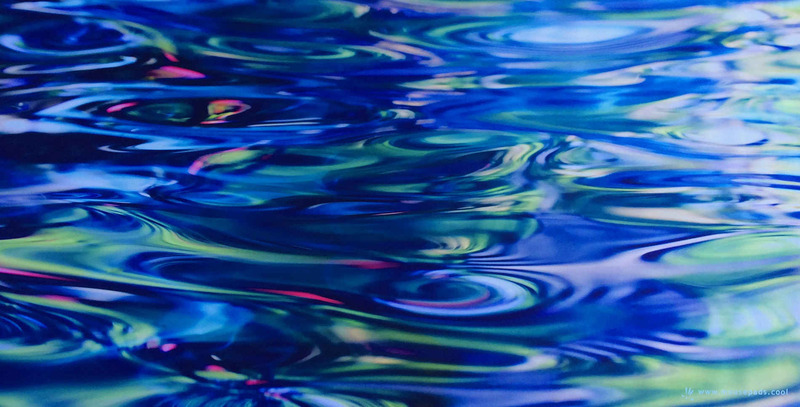 Add the element of water to your workspace, the element of growth, change and nourishment. This beautiful mousepad is tranquil, soothing and rich with color spots of yellow, blue, red, purple and green against deep sea blue. This beautiful geometric pattern is an instant eye grabber, rich in golden line, black tones and bluish highlights. It sets the stage for any possiblity, defining infinity within its complex arrangement of mathematics. 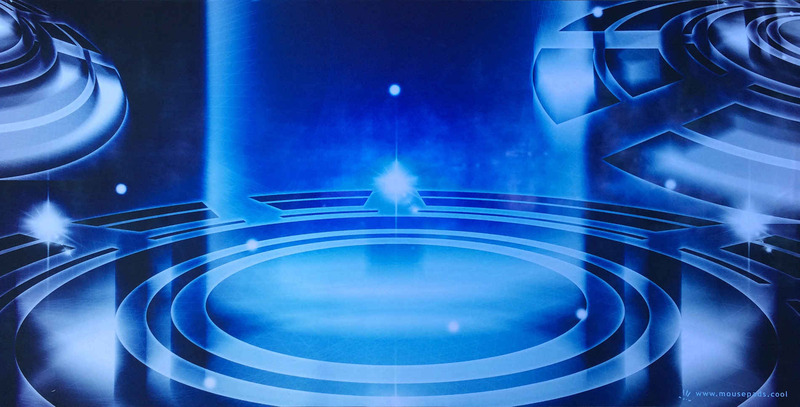 With its subdued, deep blues, bright white edges and vanishing endpoint, this mousepad is an excellent addition to any computer desktop. The patterns shift each time one looks, stimulating possibilities and a sense of wonder. The panther is a very powerful and ancient totem. 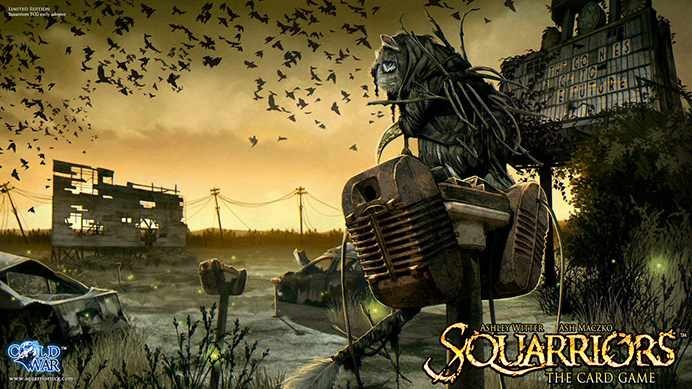 It embodies aggressiveness and power, but without solar significance. 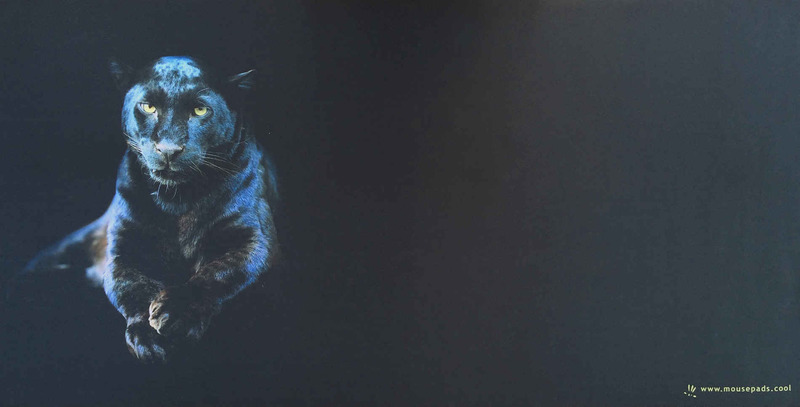 In the case of the Black Panther, there is definitely a lunar significance. It is associated with astral travel, guardian energy, symbol of the feminine, reclaiming ones power. Another one of our favorites, simple and elegant in the smooth turns of the graphics. 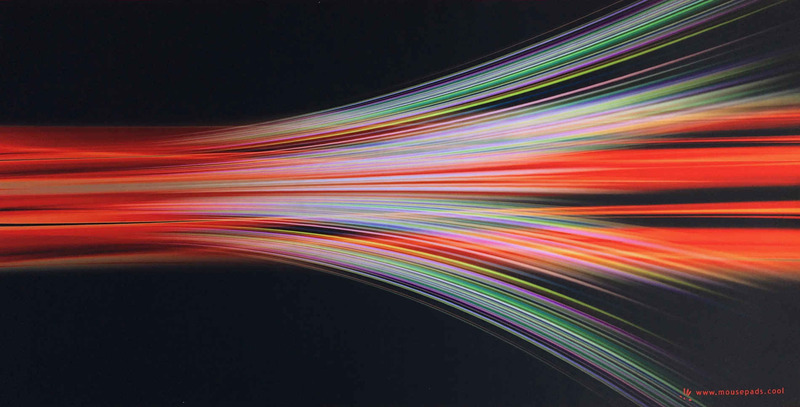 The cool / warm colors move against the black background adding the feeling of wind or waves, or suspension of time and space. This pad is an excellent choice for adding an element of motion to your deskspace. Serene Blues, floating with the turning of the planets... 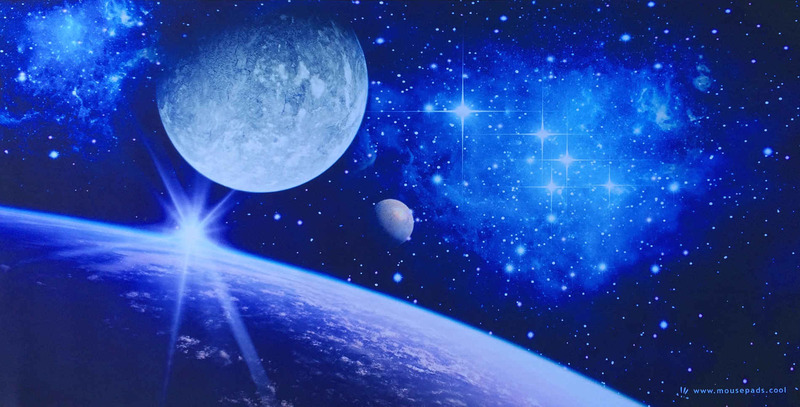 This mousepad adds a deep, quiet atmospheric to your desktop - moonshine, starshine and the light of planets against the night of endless space. 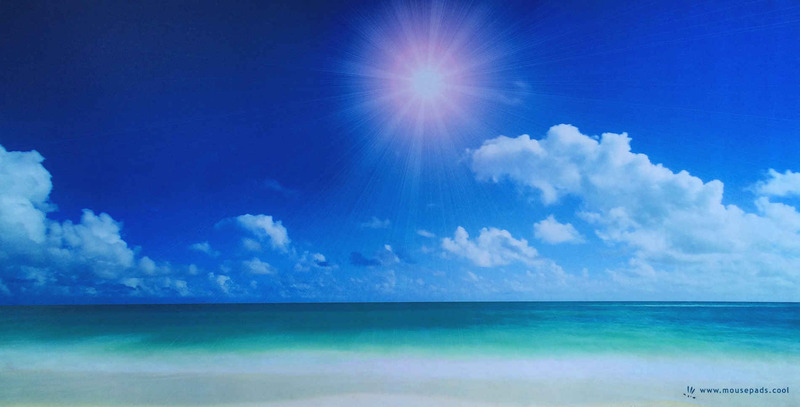 Let your eyes and mind wander along this daylight beach scene, perfect for any desktop environment seeking a few moments escape, distraction or relaxation. Rich in sunlight blues, greens and yellows, this mousepad is an excellent choice for occcasional daydreaming and imaginations. 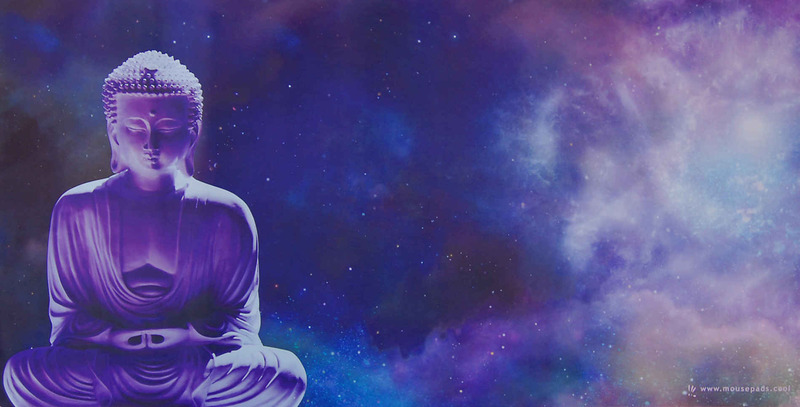 This beautiful mousepad introduces a sense of serenity, mindfulness and presence to your desktop. 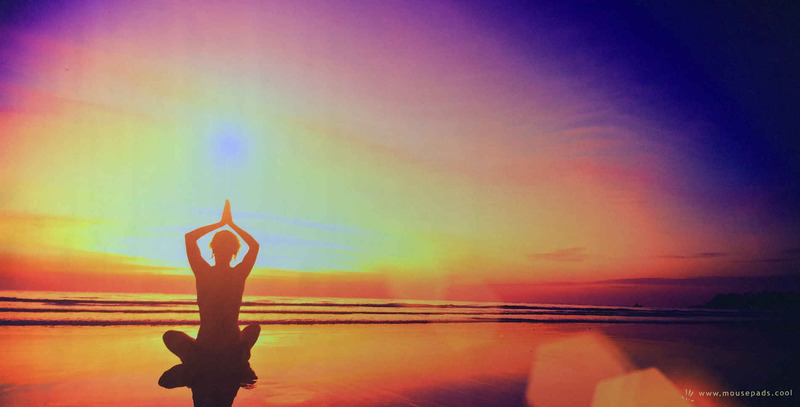 Relax into this sunset oceanscape and have a mouse meditation! Shimmery, translucent, iridescent blues, greens and highlights of pinks... This elegant mousepad adds water to your working environment. In Feng Shui water brings in the energies of regeneration, healing, nourishment, growth, flexibility, hidden power and truth. It is one of the key influences for creating abundance in your life. Over 1,000,000 Views in 10 Months! 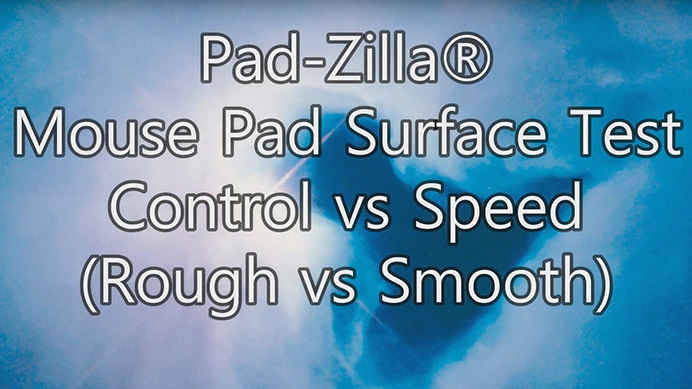 We launched MousePads.Cool with this Linus Tech Tips product reveal video on our Pad-Zilla® on February 1, 2016. 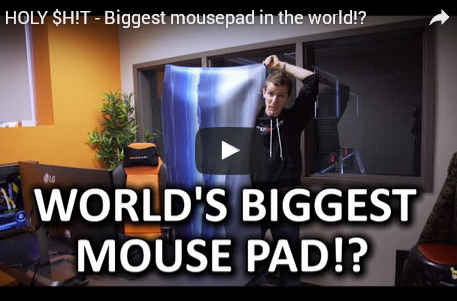 Linus shows off our "Distances" and "Wings" Pad-Zilla® giant mouse pads with some funny skits on their uses! 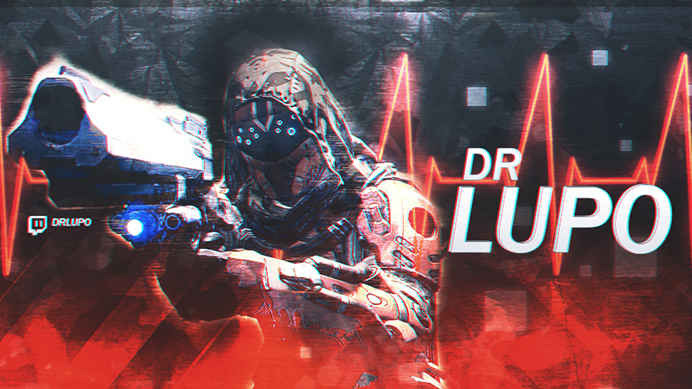 Thank you Linus Tech Tips for all your support! Our Call Center is open 7 days a week should you ever have a question, or desire personal attention. Please always feel free to reach out to us directly at (575) 758-3182. All Pad-Zilla® product photos were taken with an iPhone 5 camera and are actual product images. 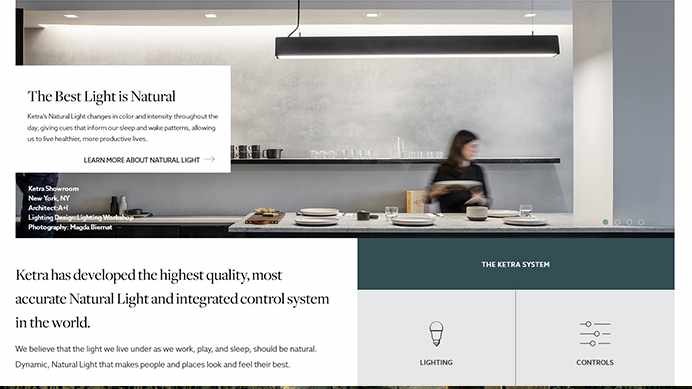 They are unaltered with the exception that some have been cropped to fit, on some we added the edge border for clarity, and all have been "reduced" in image quality for page load speed on our website. 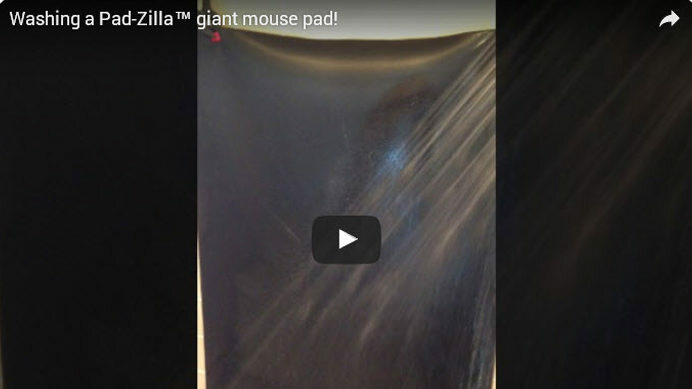 We believe you will be delighted with your Pad-Zilla® giant mouse pad. However, if for any reason you are not satisfied within the first 15 days, simply return it to us for a full refund of your purchase price less shipping charges.